We’ve heard it time and time again, but now two of Pep Guardiola’s key targets, İlkay Gündoğan and Aymeric Laporte, appear really close to joining Manchester City. As in, really close. Starting with Gündoğan, who has been on the ‘verge’ of joining for a while now, and the hugely reliable David Ornstein of the BBC is saying that confirmation is finally imminent. City’s social media team have been hammered with demands to ‘announce Gündoğan’ for a week or so now, and may soon be able to do just that. Aymeric Laporte has also been reported to be very close, although there has been less certainty about this deal because of his loyalty to Athletic Bilbao and their stubbornness in selling. The Sky Italia team have offered an update tonight. The great Gianluca Di Marzio, via his colleague Mario Giunta, has reported that Laporte has given the ‘green light’ and documents are now being prepared to close a deal that will see City pay 22-year-old Laporte’s €50 million (£38.7 million) release clause. Elsewhere in Italy, TMW say these signings are just the start of Guardiola’s overhaul. 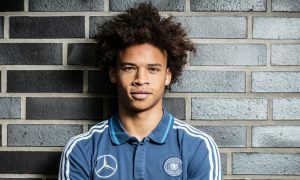 Two other talented young players, John Stones (22, Everton) and Leroy Sané (20, Schalke), could also join the Pep revolution, along with a goalkeeper – likely to be Yann Sommer (27, Mönchengladbach) or Marc-André ter Stegen (24, Barcelona).